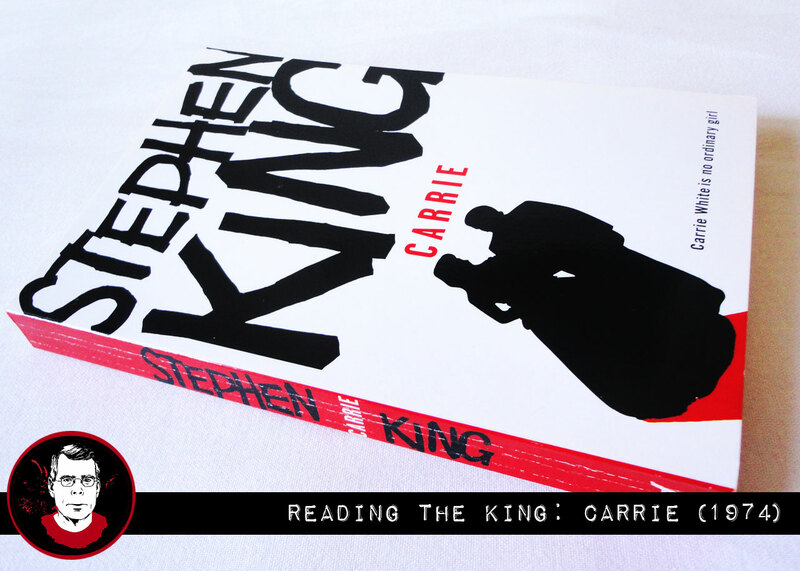 My journey to revisit all of King’s works begins with his first novel, “Carrie”, a timeless classic that still feels relevant more than 40 years later. 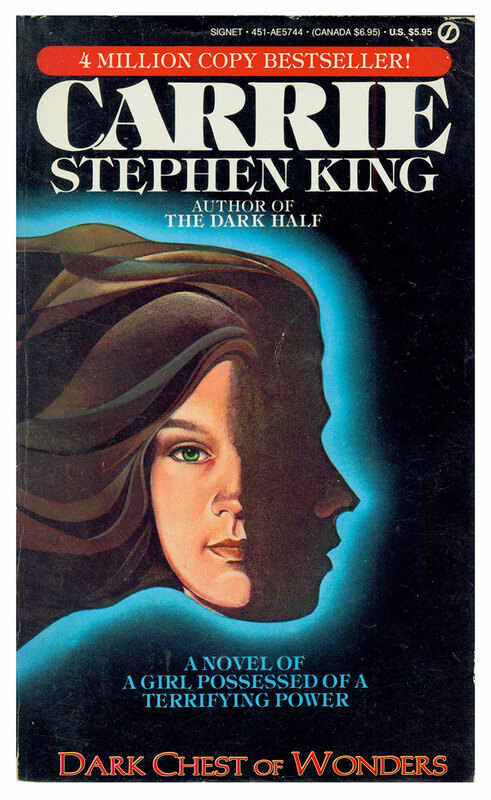 In that stack of books, along with some Dean Koontz (although I wouldn’t learn that until later as it was under one of his pseudonyms), Richard Laymen, and Ramsey Campbell, were two books by Stephen King, “Carrie” and “Night Shift.” This began a life-long love affair. 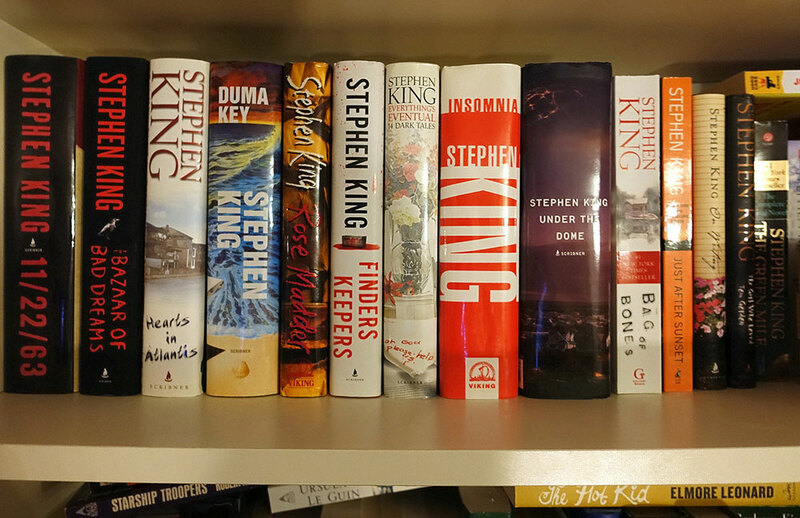 Over the years, I’ve read most of Stephen King’s books, many of them multiple times. I haven’t read everything. (I’m still working my way through some of his newer books, and I haven’t finished The Dark Tower series.) I love his style of writing, particularly the way he masterfully builds a scene. His characters are fantastic. Whether heroic or villainous, they are also strikingly real. In this series, I will reread King’s books in order of publication and talk about his growth as a writer and how the stories have impacted me. 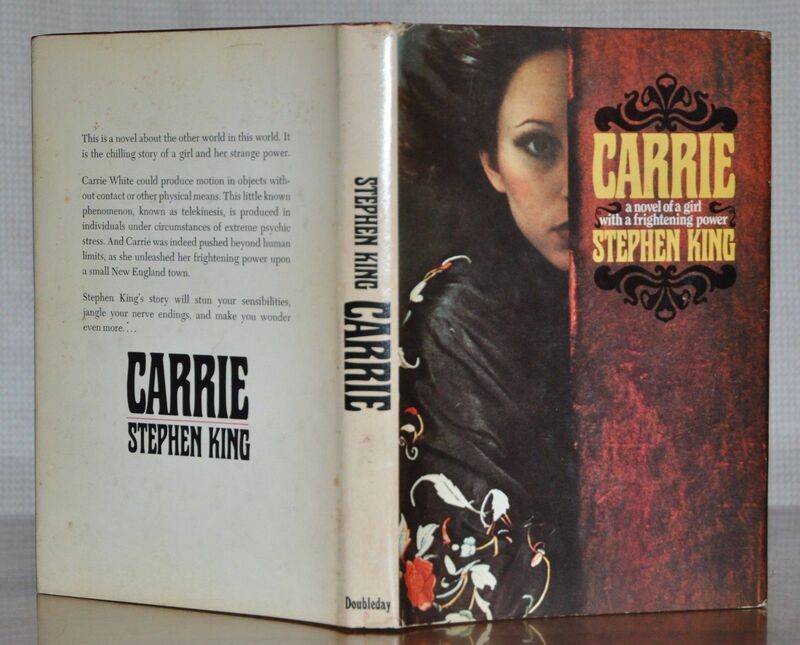 Published in 1974, “Carrie” was King’s first published novel, having previously published short stories in various magazines. After starting on the idea and becoming unhappy with it, King tossed it in the trash. His wife Tabitha retrieved it and encouraged him to finish the story. Carrie White is one of those kids who just doesn’t fit in. Her mother is a bit of a pariah due to her extreme religious beliefs, and this filtered down to her daughter, leaving Carrie miserable — both at home and at school. Anyone who has ever attended a public school knows how kids like this are treated. Maybe you were like me, and you were one of those kids. But Carrie is even more different than your average school outcast. Carrie is telekinetic. We first meet Carrie in an iconic scene. Carrie is showering after gym, and she gets her first period. Unaware of what is happening to her, she is terrified and believes she is dying. Her classmates torment her by throwing tampons at her. After being called out and punished by their gym teacher, one girl, Sue Snell, feels remorseful and encourages her boyfriend Tommy to take Carrie to the prom. Another girl, Chris, blames Carrie and vows revenge. This sets up the novel’s climax where Carrie is humiliated at the prom and uses her burgeoning telekinetic powers to destroy the school and the town. “Carrie” is not set up like a traditional novel. We learn about the events excerpts of news articles, scientific papers, hearing transcripts, and memoirs of a survivors. It is an interesting way to tell the story, but it’s not a format I would want to read a lot of, as it can be disconcerting to be caught up in the events and then be pulled into a scientific dissertation on telekinesis. “Carrie” spoke to me when I first read the novel. I was also an outcast and felt lost both at school and at home. I read “Carrie” when I was in the eighth grade, and I was already in my third school that year. A heterosexual teen, who was branded gay (primarily because I didn’t play sports) and tormented daily, I found Carrie White’s revenge cathartic. I enjoyed the idea of stealing her tormentor’s power and making it her own. I’ve probably read “Carrie” at least a dozen times, and I find my reaction to the novel changes depending on my mood. The first time I read it post-Columbine, I was kind of horrified by the ideas of the book, and it was hard to separate that tragedy (and the many that have followed) from the fictional events portrayed in the book. Other times, I still feel that bit of catharsis as she finds her power and takes her revenge. 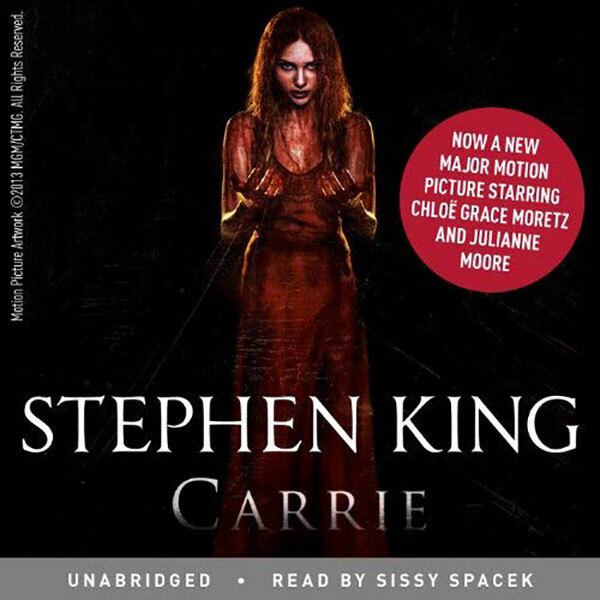 If you are a fan of audiobooks, Audible has a fantastic reading of the novel read by Carrie herself, Sissy Spacek. 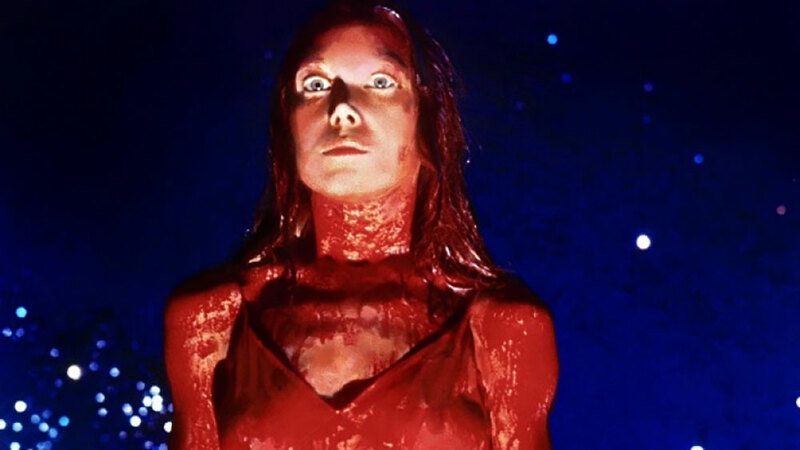 “Carrie” has been one of Stephen King’s most adapted novels (both successfully and unsuccessfully). Originally adapted into a movie in 1976, Carrie stars Sissy Spacek as Carrie and Piper Laurie as her mother. Both actresses would receive well-deserved Oscar nominations. Amy Irving plays Sue Snell, and the movie features John Travolta in one of his earliest theatrical performances. Directed by Brian de Palma, this is by far the best of the adaptations. The stellar cast and wonderful direction create an incredible cinematic experience that still holds up incredibly well over forty years later. A belated sequel was released in 1999, with actress Amy Irving reprising her role as Sue Snell. The Rage: Carrie 2 revolves around the idea that Carrie’s father had an illegitimate daughter who also had telekinetic powers. A forgettable television version was made in 2002, unique only in that it somewhat follows the way “Carrie” is written with a police detective investigating after Carrie has disappeared. 2013 brought a brutal remake starring Chloe Grace-Moretz as Carrie and Julianne Moore as her mother. Despite strong performances from the leads, the rest of the cast is lackluster, and some interesting sequences (man…that opening scene) can’t save this movie from feeling like a substandard remake of a damn near perfect horror film. Carrie is a great story, and it has held up really well for a book that is over forty-years-old. It is a novel that feels as relevant today as it did when I read it as an angst ridden teen. I think the most telling thing about the novel is that even at this early stage of his career, Stephen King was Stephen King. He has improved as an author over the years, but the writing style and character development are definitely already there, and it isn’t any wonder that he’s had the amazing success he has had.